I’m in Melbourne for just three days – in Australia for a week in total – working on a research project. Naturally I am working my fingers to the bone, but the jet lag has got the better of me, and I find myself at 04.10am writing about one of the treasures this delightful (if expensive) city has to offer. Last night, having completed a focus group with some lads about their considerable booze intake (while they got hammered, and we sat there as sober as judges), my colleague and I met up for dinner at Golden Fields, a culinary hotspot in St Kilda with two of his friends. It was amazing – the food, company and some swimming-related conversations. Over a delicious meal of rustic pork dumplings, with Shanghai chilli vinegar; crispy soft shell mud crab with fried egg aioli, twice-cooked duck with steamed bread, vinegar and plum sauce; all nicely washed down with some Stoney Rise Pinot Noir – a native wine from Tamar Valley – we were given a lowdown about the city that you never get to read in any copy of Lonely Planet. One of the nuggets to emerge from our conversation was about the city’s ‘historical’ swimming baths. It sounded incredible, and most definitely warranted some further investigation. Typically though, as a consequence of being on too many planes, and lack of sleep I have come down with a bit of man flu, so swimming in this little gem will have to wait until next time I visit the country. 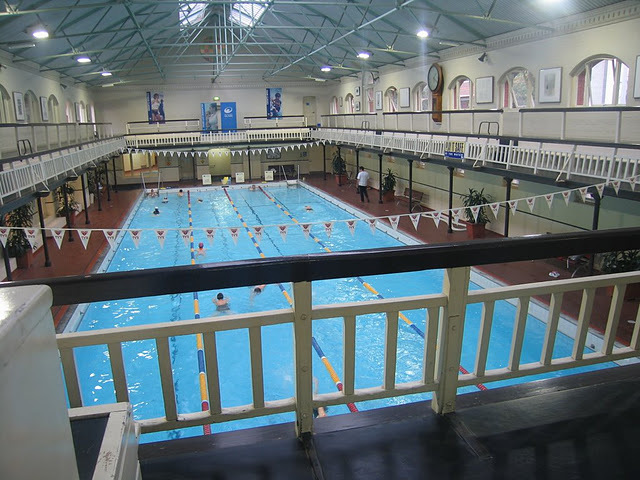 First opened in 1860, and one of the few buildings of age in this ultra modern city, the Melbourne City Baths has provided what it describes as “health and fitness services” to Melburnians and the odd Pommy for more than 140 years. By the 1850s the Yarra had become quite polluted – not necessarily from the poor using it as a shower facility – and an epidemic of typhoid fever hit the city causing many deaths. However, people continued to swim and drink the water. One of the Melbourne City Councillors, Sizar Elliott, initiated moves to build public baths and urinals in the city. A triangular piece of land on the corner of Swanston and Franklin streets was chosen and the City Baths was opened on 9 January 1860. People flocked to the baths and it was reported that 79,096 men and 2,950 women enjoyed the facilities in the first year. For financial reasons the council decided to lease the baths but lack of maintenance resulted in such deterioration of the building that it was closed down in 1899. In 1901 the corporation of the City of Melbourne advertised a national competition for the design of new public baths on the same site as the previous baths. The winning entry was from a well-known architect J J Clark, who also designed Melbourne’s Treasury Building. 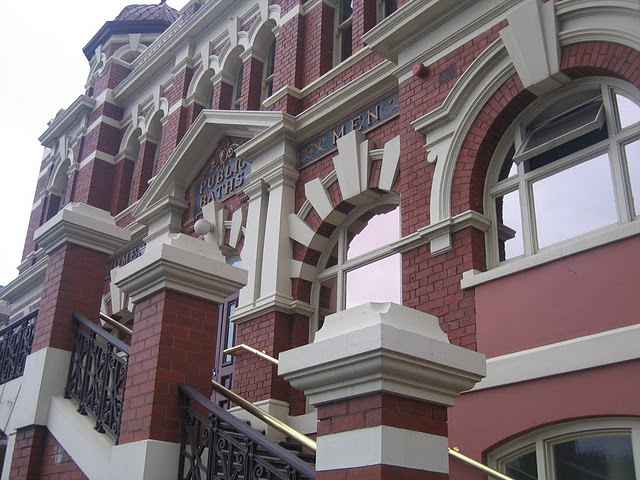 The Lord Mayor, Councillor Sir Malcolm D McEacharn, officially opened the new Melbourne City Baths on 23 March 1904 in the presence of the Premier, the right honourable Thomas Bent, and other guests. The design reflected all the social conventions of the turn of the century. There was segregation of the sexes for all facilities, right down to separate street entrances. Class distinctions were also apparent with second-class baths in the basement and first class baths on the main floor. Facilities consisted of two swimming pools, 16 slipper baths and six spray baths each for the men and women.There were also Turkish and vapour baths, a Jewish ceremonial bath (Mikvah bath) and a laundry. Mixed bathing was introduced into the City Baths in 1947 and the popularity of the swimming pool began to increase. The success of the Australian swimmers in the Melbourne Olympic Games in 1956 further contributed to the popularity of the swimming pools, after which attendance rocketed to over 300,000 per year. In fact the baths had been considered as a possible venue for the Olympic swimming events but were disregarded due to the state of the facilities. In the 1980s, in disrepair, they were nearly closed, but were saved in 1983 by a public campaign and $4 million refurbishment. Thank goodness they were. 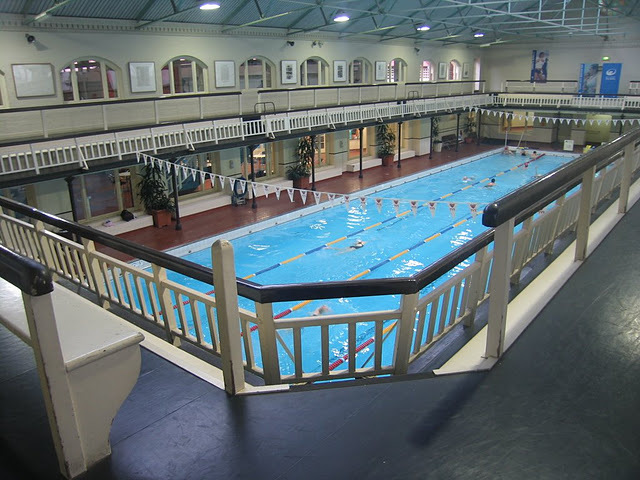 Melbourne City Baths is now a leading health, fitness and wellness centre with innovative programs and modern equipment, as well as being a significant historical icon that is visited by thousands of national and international tourists. 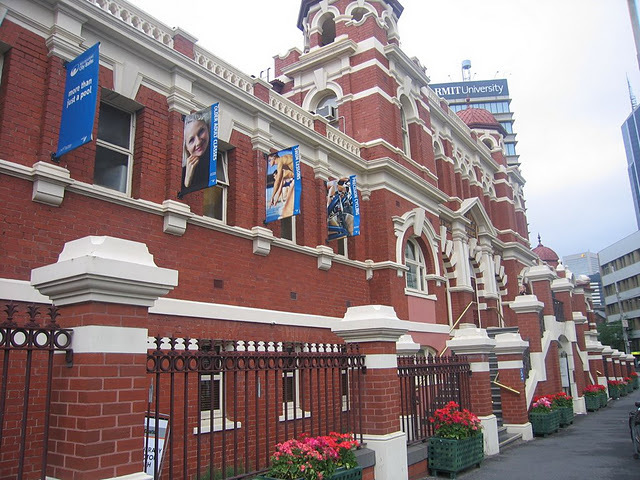 The uniqueness of the building and the significance it holds for so many Victorians has also prompted theatre groups, television programs and fashion magazines to use the baths as the setting for their productions, films and photographic shoots. What can I say, apart from that I am gutted that I will not get the chance to swim a few turns in what is as truly a stunning swimming pool as any I have written about so far – you Melburnians are lucky people to have it on your doorsteps. I on the other hand feel privileged to have been told about it. Enjoy.